Hostgator LLC, one of the leading web hosting provider with more than two million hosted domains announced their plans to start with VPS hosting services. We earlier covered the advantage of Hostgator shared web hosting over some of its competitors like Dreamhost . Though little bit costly, Hostgator provides good uptime, industry standard features, excellent support etc. that everyone is looking from a reliable hosting service. But every webhosting company has limitations on shared hosting plans. VPS service provides a virtual server on shared environment so that users can customize the server resources according to the plans chosen. Hostgator now offers shared, reseller and dedicated hosting plans. The new Hostgator VPS plans are lunched in test mode and only available for the first 200 customers . 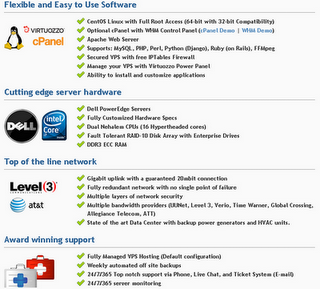 Hostgator VPS plans starts at 19.9$ for .56 GHZ CPU resources, 384MB RAM, 10GB disk space and 250GB bandwidth. All plans offer 2 dedicated IP address, full root access and default Virtuozzo Power Panel. 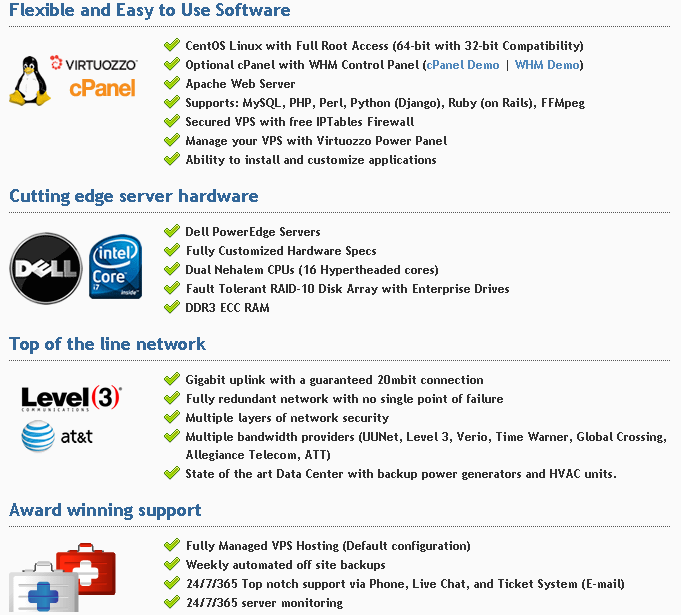 Optional cPanel / WHM Control Panel are avoidable at 10 $ extra for plans above level 3. There is also an option to purchase more dedicated IP addresses. The top most plan looks very similar to a good dedicated hosting. Available at 209.95 $, this plan offers 5.94 GHZ CPU resources, 4.435 GB RAM, 231GB disk space and 3150 GB bandwidth . More details available here . Overall these plans appear costlier than those VPS services offered by nearby competitors . But considering our experience on shared hosting, we expect Hostgator VPS to provide better speed and uptime for all hosted domains. Yeah, i think its a wise choice starting with VPS hosting. Its cool because the plan has enough disk space and RAM. It might be a little bit costlier but it has better speed and uptime for hosted domains. You can knock $9.94 off the first month if you use the coupon code They don’t offer “trials” but this basically allows you to trials the service and cancel if you don’t like it. You also get the full month for free instead of a week like many other company’s ‘trial’. I’ve been using my account for 2 weeks now and I’ve never been more impressed with a hosting company.